Spate PD 75 Pump – SOS Safety International Inc. 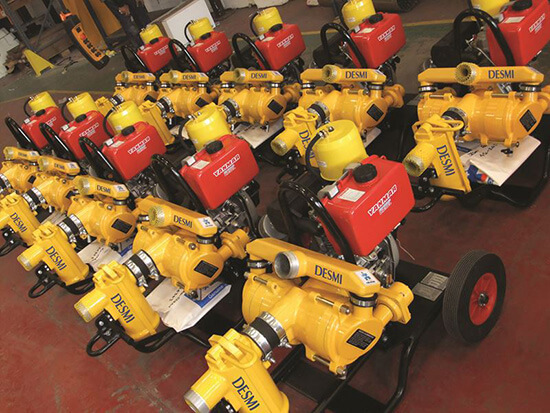 The Spate PD 75 double diaphragm pump is an extremely versatile pump suitable for a wide variety of applications. 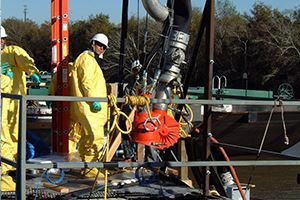 The pump is ideal for operation in oil spills, de- watering, construction, industry, tank cleaning and other general pumping duties. The double diaphragm design creates a powerful suction and lift ability. These same diaphragms have a gentle pumping action that does not emulsify oil and water. This allows rapid gravity separation following pumping. The speed and output of the hydraulically driven model is infinitely variable. 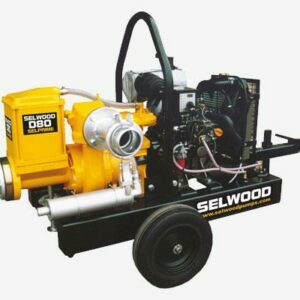 It can be supplied with a hydraulic power unit. Both models are delivered fitted with oil resistant regulators. Simplicity of design and construction provide for total ease of maintenance. 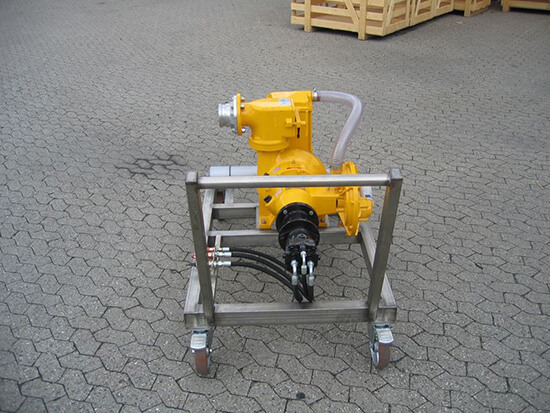 This extremely rugged pump has been used worldwide for various oil recovery applications. 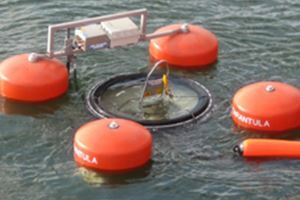 The Spate PD 75 can be supplied with a floating suction head – MINI-MAX for the recovery of oils and other floating materials such as ash, scum and algae. The diesel driven model is delivered with a stone catcher and two small wheels to aid movement.